Since 2003, U.S. Government Auditors have reported 32 allegations of contract fraud occurring in the Middle East. According to senior DCAA investigators, the majority of these cases involve the Army’s logistics contract, LOGCAP, with KBR that involves billions of dollars of government money. Investigations continue this week. What is The Purpose of The Defense Contract Audit Agency? 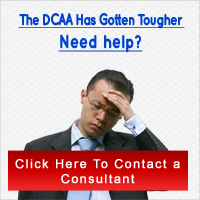 DCAA Accounting â€“ How Can I do Accounting for the DCAA? Tags: dcaa Did you enjoy this article? Share it!